So what do you do when you realize you’ve tried every method there is when it comes to natural hair? I realize the other day I have not learned anything new in a long time. I’ve tried everything once or twice. Some things I liked and others not so much. Today I was on a friends Facebook page dedicated to natural hair, and I notice the things her and her followers are raving about are so 3 years ago for me. It’s good for them because they are still learning about what’s best for their hair but I’ve been there done that let’s move on please. I only comment when I feel it’s needed and I’m a member of the page out of support for me friend. So far I have gotten nothing new from the group. I’m the old dude in the club so to speak. Maybe this is a good position for me. 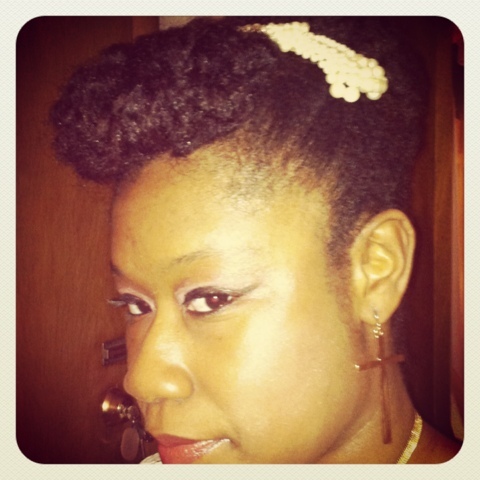 I can help out new naturals with advice, but all of them might not want to hear me. I still feel like all these years later there’s something more out there that I don’t know about my hair. I guess for now I have to be content with my deep conditioning baggy methods and tuck and roll styles till I find the next best thing.